Gov. Paul LePage delivers his final State of the State address before a joint session of the Maine Legislature in Augusta, Feb. 13, 2018. Gov. Paul LePage blamed numerous people and entities, including lawmakers and the Department of Health and Human Services, for failing to stop last month’s beating death of Marissa Kennedy. He called the handling of the case “a comedy of errors” as repeated reports that the 10-year-old was being abused by her mother and stepfather were mishandled or ignored. Of course, there is nothing comedic about Kennedy’s brief life and death. What is most disappointing about the governor’s remarks, the only ones he’s made since Kennedy died, is that he points fingers at everyone but himself. Gagnon was writing about Broward County Sheriff Scott Israel, who deflected blame for the Feb. 14 shooting at Marjory Stoneman Douglas High School in Parkland, Florida, that left 17 people dead. But his lessons apply to any leader. Or the governor of Maine. LePage is responsible for the failings at DHHS. The buck stops with him. The huge department has been problematic for governors long before LePage, but his administration has focused on streamlining and saving money rather than ensuring the state’s safety net works to catch people like Marissa Kennedy. Days before Kennedy’s death last month, DHHS decided to cancel funding for Community Partnerships for Protecting Children, a child abuse prevention program. The $2.2 million earmarked for it will stop flowing Sept. 30. The department said the partnerships duplicated other program, but they don’t. Nearly a quarter of calls to the state’s child abuse hotline — more than 12,000 — went unanswered in 2016. Every year, people place about 55,000 calls to a statewide hotline, available 24 hours a day, because they suspect a child in Maine is being abused or neglected. Those calls set in motion a process that may result in an investigation and intervention in the lives of families. If calls aren’t answered, that critical process does not begin. DHHS hired contractors and changed the call-in process, but it has not shared data to show whether the problem has improved. 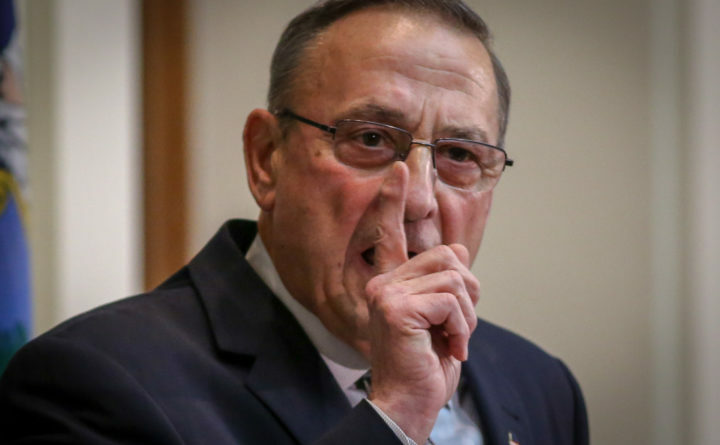 In an interview with News Center Maine, LePage specifically blamed the Legislature and mandated reporters, which includes medical providers, law enforcement, school officials and others, for failures in the Kennedy case. He suggested that mandated reporters weren’t reporting abuse and that the Legislature wouldn’t toughen the law. Yet, officials with the Bangor School Department made multiple reports to DHHS about suspected abuse and neglect of Kennedy, who was frequently absent, while she was a student at Fairmount Elementary School during the 2016-17 school year. Bangor Superintendent Betsy Webb said the school department did not hear back from DHHS after the reports. The Legislature’s Government Oversight Committee voted unanimously Friday to investigate the state’s handling of Kennedy’s case along with that of 4-year-old Kendall Chick of Wiscasset. DHHS placed Chick in the care of her grandfather and his fiancee, Shawna Gatto, in January 2017. Gatto was charged with murder in December after numerous injuries were found on the young girl. This review is welcome, but it doesn’t take a months-long investigation to know that a department that is more focused on saving money than helping people would let children suffer. For the entirety of the LePage administration, DHHS’ mission, especially under Mary Mayhew’s leadership, has been to slash the number of people receiving government assistance — whether it’s financial assistance, food stamps or health care — even though their need for temporary help does not go away. The predictable result is that many lives are made more difficult, and some end prematurely. The public never knows about most of them. This is what LePage needs to take ownership of. He set the standards. The commissioners he hired sought to meet them. The results are a measure of his priorities, and his failures.